Groundwater is a vital water source in the rural and urban areas of developing and developed nations. 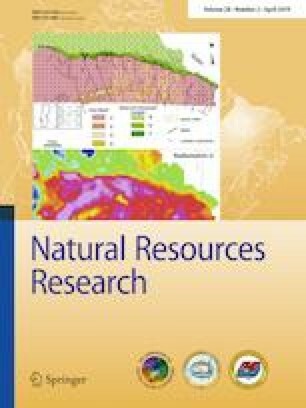 In this study, a novel hybrid integration approach of Fisher’s linear discriminant function (FLDA) with rotation forest (RFLDA) and bagging (BFLDA) ensembles was used for groundwater potential assessment at the Ningtiaota area in Shaanxi, China. A spatial database with 66 groundwater spring locations and 14 groundwater spring contributing factors was prepared; these factors were elevation, aspect, slope, plan and profile curvatures, sediment transport index, stream power index, topographic wetness index, distance to roads and streams, land use, lithology, soil and normalized difference vegetation index. The classifier attribute evaluation method based on the FLDA model was implemented to test the predictive competence of the mentioned contributing factors. The area under curve, confidence interval at 95%, standard error, Friedman test and Wilcoxon signed-rank test were used to compare and validate the success and prediction competence of the three applied models. According to the achieved results, the BFLDA model showed the most prediction competence, followed by the RFLDA and FLDA models, respectively. The resulting groundwater spring potential maps can be used for groundwater development plans and land use planning. This research was financially supported by the International Partnership Program of the Chinese Academy of Sciences (Grant No. 115242KYSB20170022), the National Natural Science Foundation of China (Grant Nos. 41807192, 41472234), the China Postdoctoral Science Foundation (Grant No. 2018T111084, 2017M613168), the Shanxi Province Postdoctoral Science Foundation (Grant No. 2017BSHYDZZ07), the Open Fund of Shandong Provincial Key Laboratory of Depositional Mineralization & Sedimentary Minerals (Grant No. DMSM2017029), and the Open Fund of the Key Laboratory of Coal Resources Exploration and Comprehensive Utilization, Ministry of Land and Resources (Grant No. ZZ2016-1). Breiman, L. (1996b). Out-of-bag estimation. Retrieved August 20, 2018 from https://www.stat.berkeley.edu/~breiman/OOBestimation.pdf. Jolicoeur, P. (1999). Fisher’s linear discriminant function. In Introduction to biometry (pp. 303–308). Berlin: Springer. https://doi.org/10.1007/978-1-4615-4777-8_33.